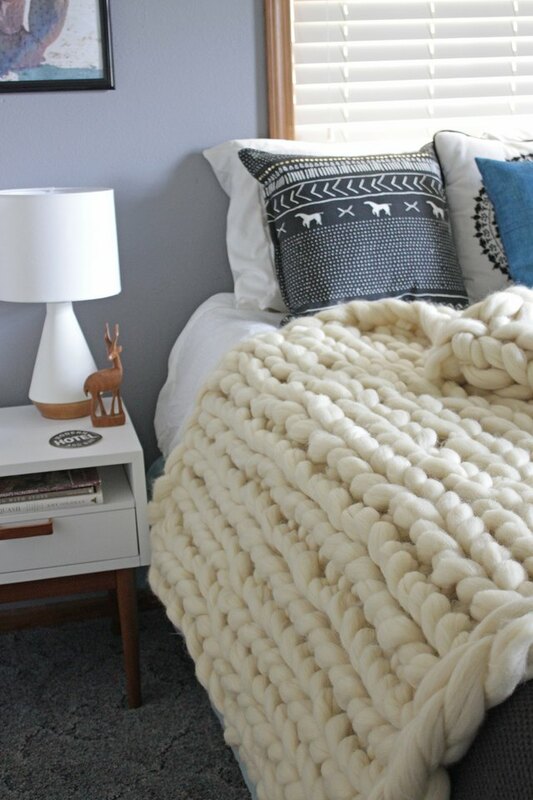 Who doesn't like snuggling up with a cozy blanket, a good book and a steaming cup of cocoa when the weather gets cold outside? 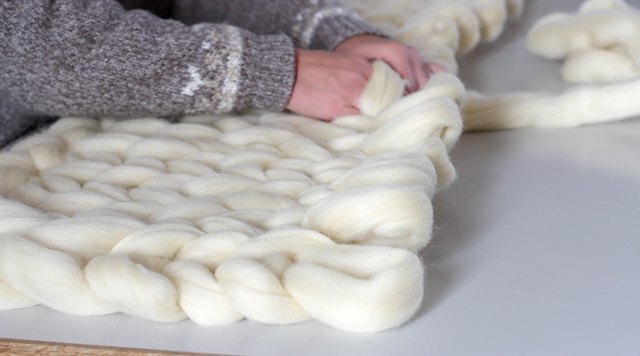 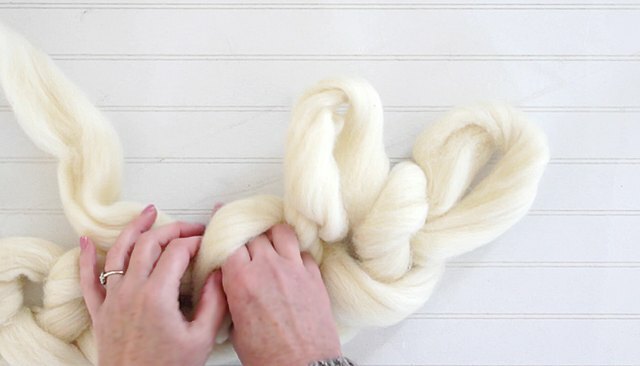 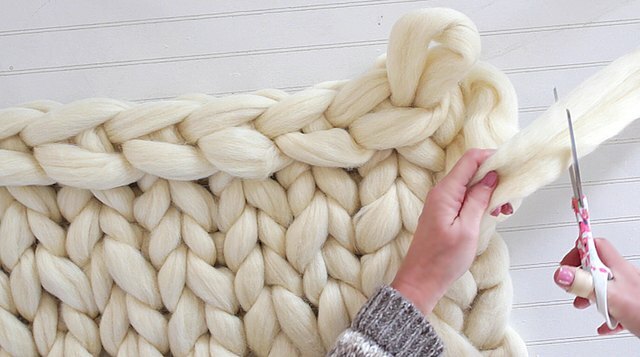 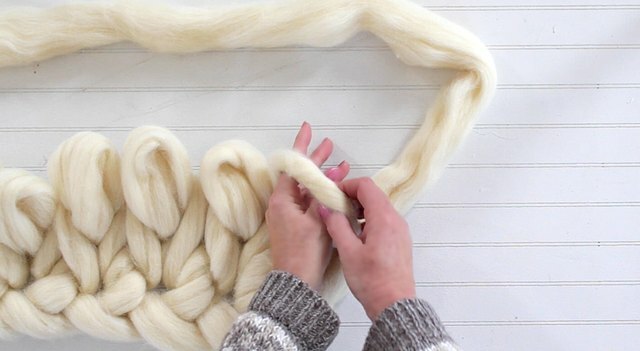 Make this on-trend, giganto knit blanket using only your hands. 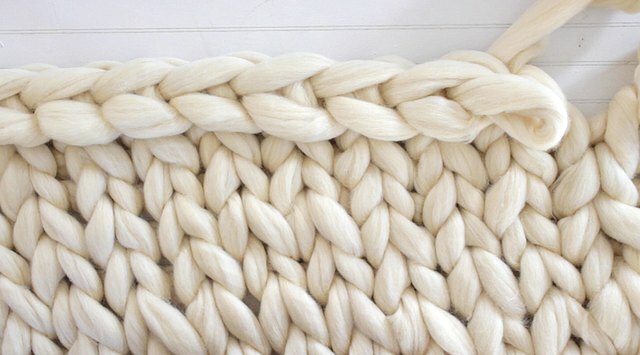 Yep, that's right, no needles required for this gorgeous blanket and it only takes a couple of hours to make. 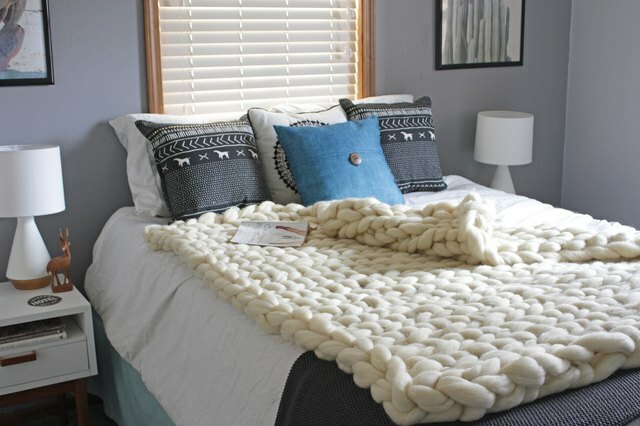 Perfect for those chilly nights when the best thing to do is snuggle up next to the fireplace in your favorite chair and read. 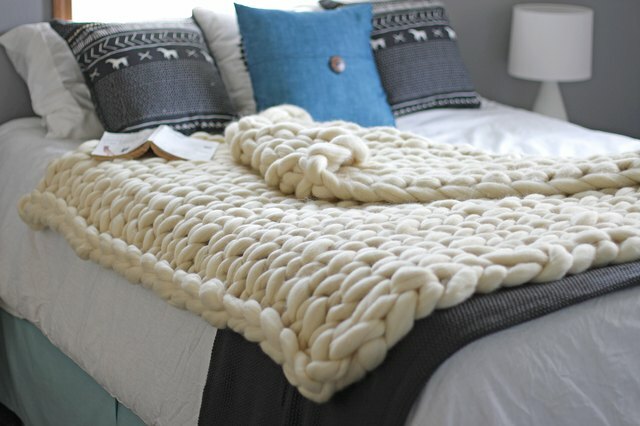 These chunky blankets look great whether they're thrown over a chair, draped at the foot of a bed, or even rolled up and displayed in a basket. 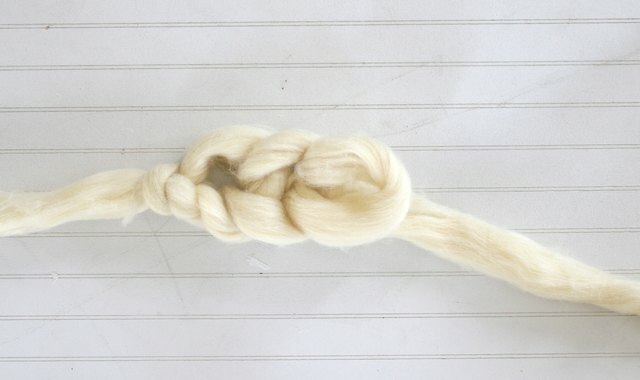 Create a knot with a 4-inch loop. 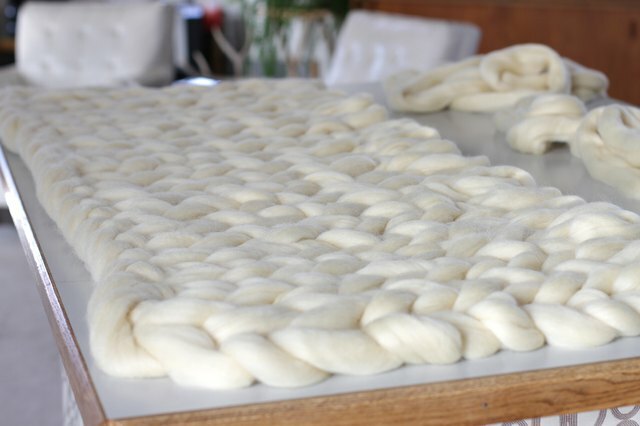 Leave about 12-inches at the end. 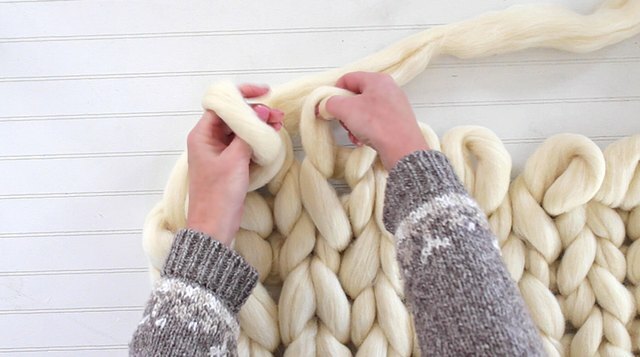 Reach your hand through the loop, grab the yarn and pull it through the loop creating a second 4-inch loop. 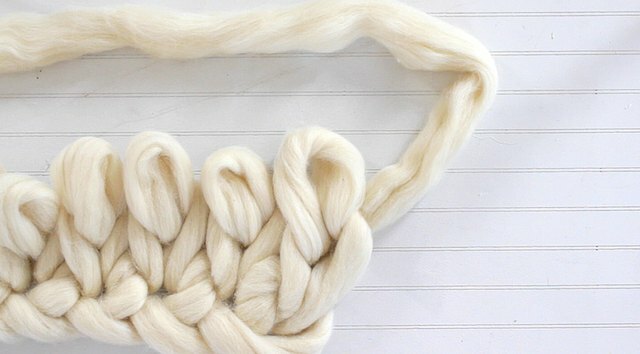 Reach your hand through the loop you just made, grab the yarn and pull it through the loop creating a third 4-inch loop. 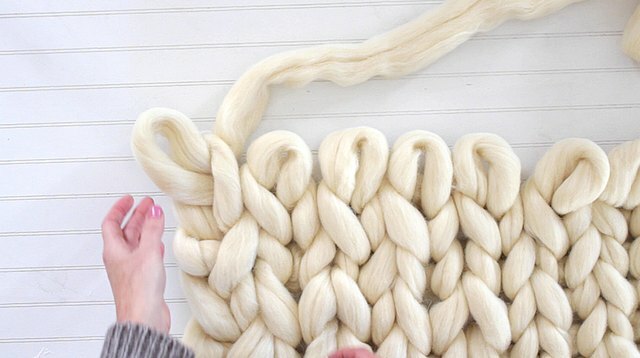 Continue creating 4-inch loops this way until you've made twenty loops. 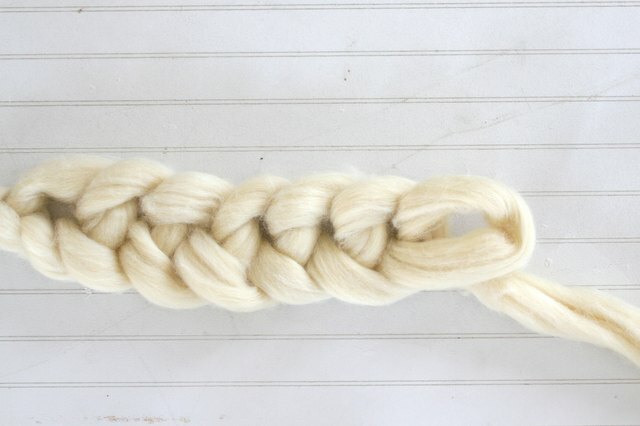 Turn the twentieth loop up and switch the yarn tail so it's falling to the left. 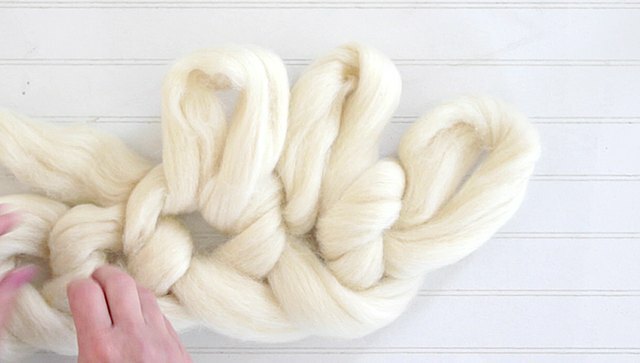 Move the yarn tail under the last loop. 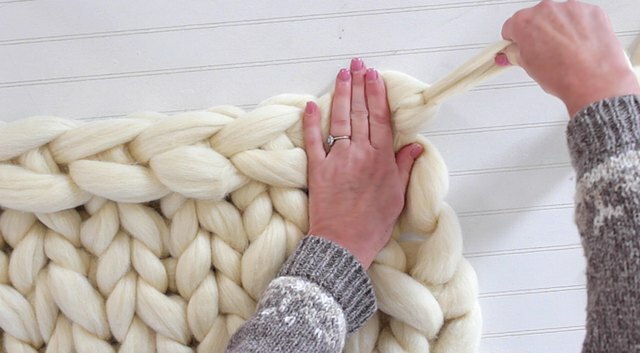 Reach your hand through the nineteenth loop, grab the yarn and pull it through to create another 4-inch loop. 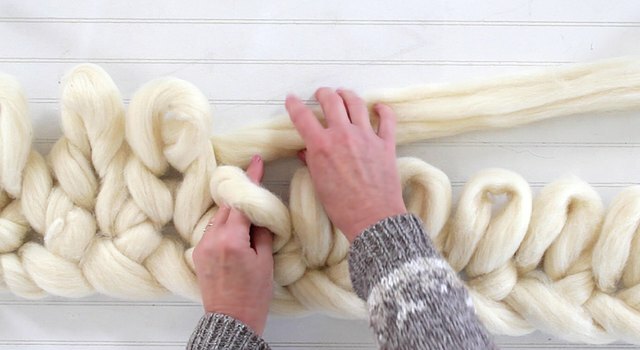 Reach your hand through the eighteenth loop, grab the yarn and pull it through to create another 4-inch loop. 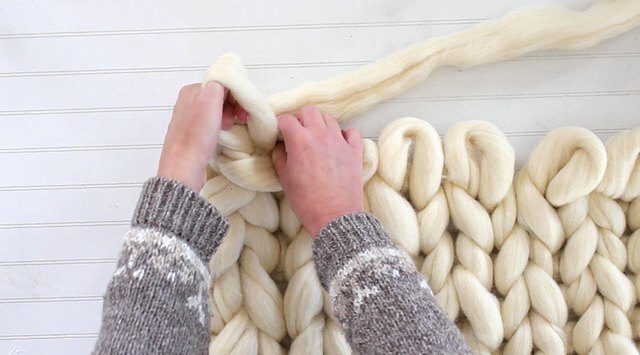 Continue creating 4-inch loops this way until you reach the end of the row. 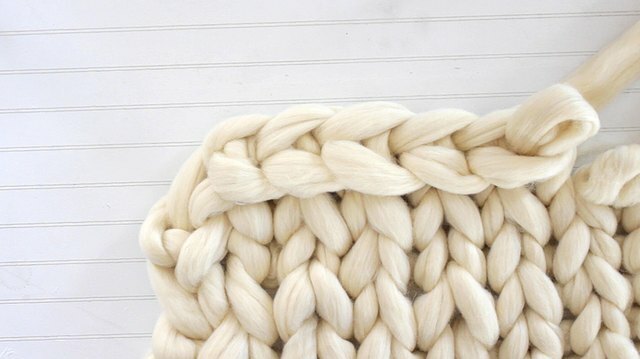 Once you reach the end of this row switch the yarn tail so it's facing the right. 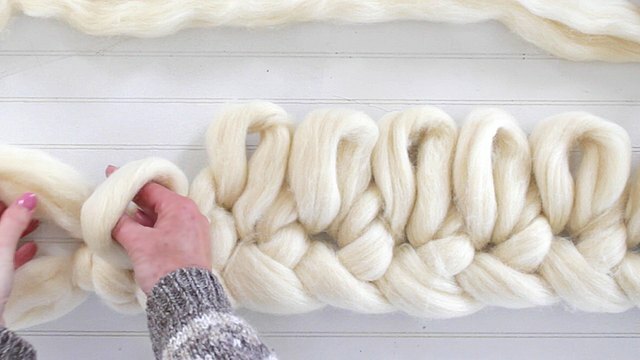 Change directions and go back across the row by reaching your hand through the last loop you made on this row, grabbing the yarn and pulling it through to make a another 4-inch loop. 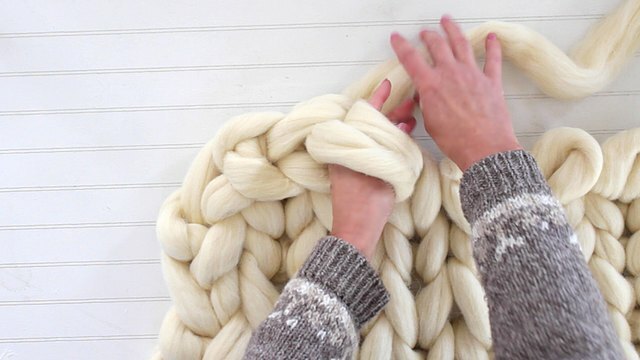 You will continue to reach your hand through each loop, grab the yarn and pull it through to create 4-inch loops until you get to the end of the row. 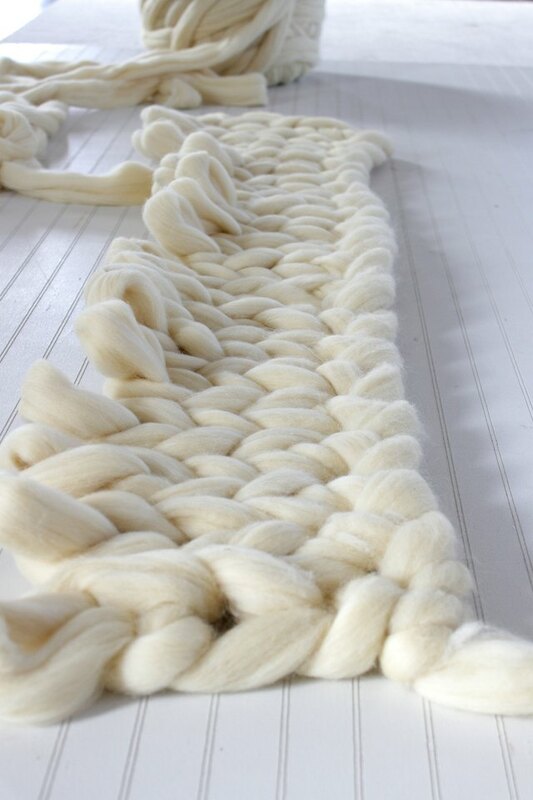 Continue the rows of loops back and forth across the blanket until you have at least fifteen feet of yarn remaining. 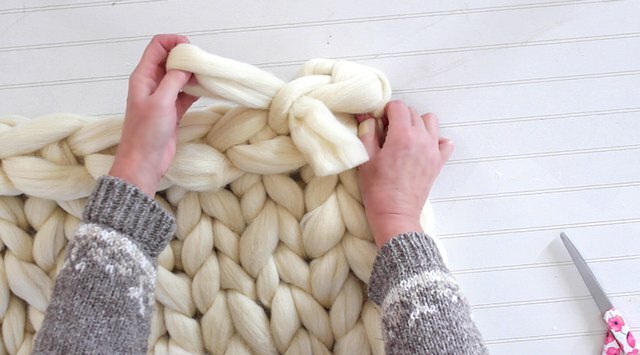 To finish the blanket, put the first two loops in the last row together, reach your hand through both loops, grab the yarn and pull it through to create a 4-inch loop. 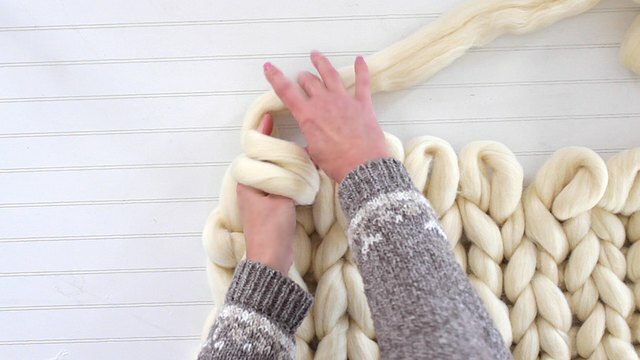 Combine the loop you just created with the next loop in the row, reach your hand through both loops, grab the yarn and pull it through to create another 4-inch loop. 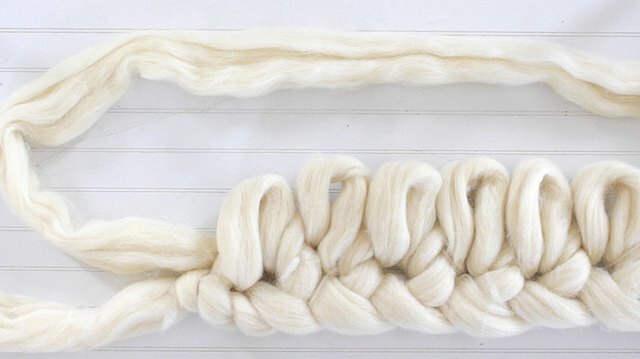 Continue combining the new loop with the next loop in the row, reaching through both loops, grabbing the yarn and creating a new 4-inch loop until you get to the end of the row. 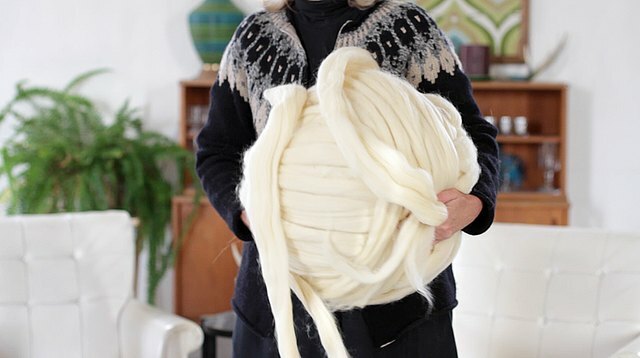 When you get to the end of the row, cut the yarn leaving a 12-inch tail. 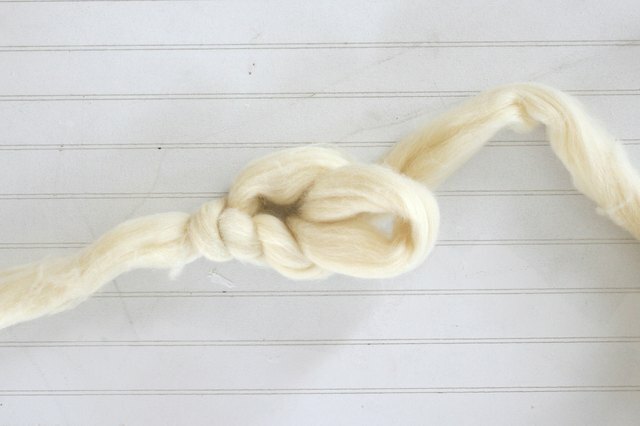 Use the yarn tail to tie a knot in the last loop. 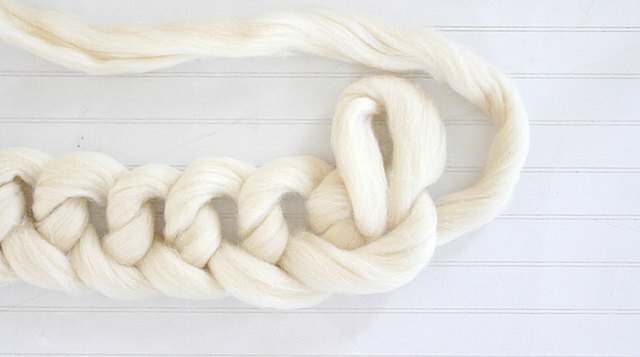 Thread the yarn tail back through the loops. 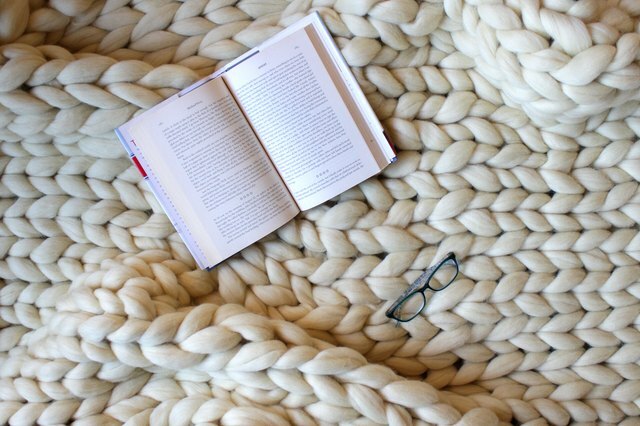 Now you're ready to grab a good book, a hot drink and get your cozy on.